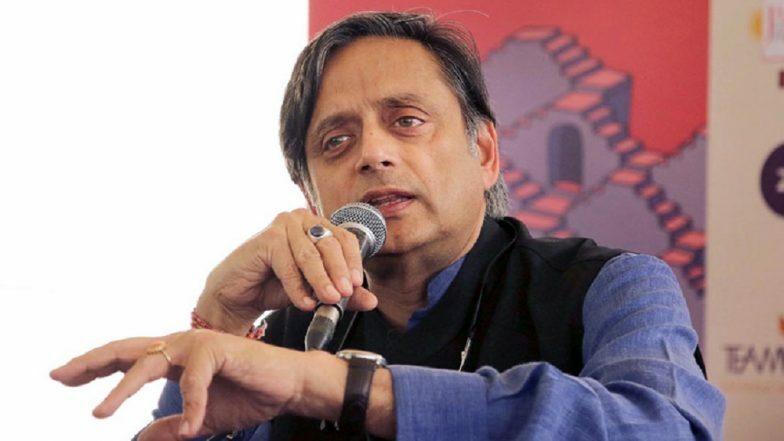 Trivandrum, March 23: Congress leader Shashi Tharoor on Saturday challenged Prime Minister Narendra Modi to contest from Trivandrum Parliamentary constituency against him in the ensuing Lok Sabha elections. "Would Prime Minister Modi like to contest from South. If so, we welcome him in Trivandrum. Let him come and challenge me here. I will give my good fight for his money," Tharoor, local MP, told ANI. Stating that Congress president Rahul Gandhi is confident enough of winning both North and South of the country, Tharoor said: "Well I'm delighted by the news that Rahul Gandhi will contest from a constituency in Kerala." Lok Sabha Elections 2019: Kerala Congress Urges Rahul Gandhi to Contest from Wayanad. However, the Congress earlier this month had announced that Rahul Gandhi will contest from his bastion Amethi. BJP is fielding Smriti Irani from the constituency. So far the Congress party has finalised candidates for 12 seats in Kerala. The Congress is contesting 16 out of 20 seats in Kerala leaving four seats for its allies - two seats for the Indian Union Muslim League (IUML) and one each for Kerala Congress (Mani) and Revolutionary Socialist Party (RSP).